And that goes double if that legislative leader has the support of the state’s leading Second Amendment organization. That’s what Iowa Senate candidate Jackie Smith is finding out this weekend, after Iowa Gun Owners unleashed this web and radio ad campaign designed to expose her agenda. Smith’s agenda on guns is so hostile that she just picked up the endorsement of President Obama, one of just a handful of candidates in Iowa to receive it. 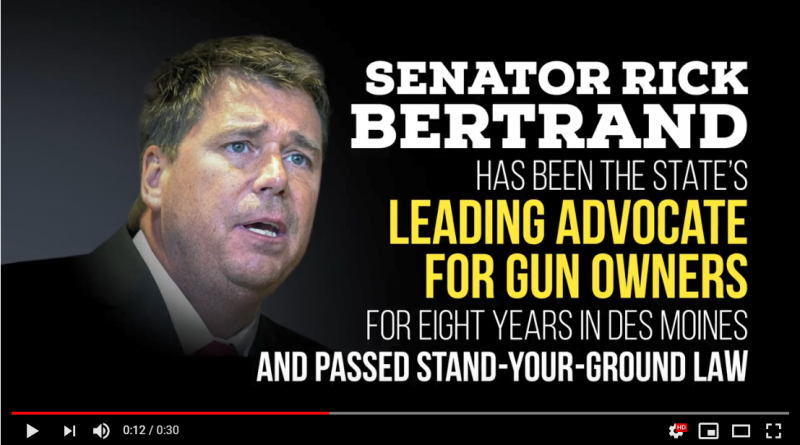 On the other hand, Senator Rick Bertrand has become the gold standard in Iowa politics where the Second Amendment in concerned -– sponsoring pro-gun bills for eight years and leading the legislative effort to pass Stand-Your-Ground law in the state in 2017. Iowa Gun Owners has a reputation for attacking at election time, doing everything they can to remind gun owners what anti-gun lawmakers have done in office. Educated by Iowa Gun Owners’ radio and TV ads, gun owners in the state have removed dozens of anti-gun incumbents since the group was founded in 2009. The organization is part of a growing number of state level organizations that are funded and directed by gun owners inside the state. The article says that these state level groups are simply willing to fight harder. Based on their history and the first ad Iowa Gun Owners has rolled out, it would seem as though Jackie Smith is in for a rough few weeks. ← Self-Defense Shooting Caught on Tape!